How Can Mulch Benefit Your Fallston Landscape? This spring, it’s time to use mulch to enhance your Fallston home’s landscape features. 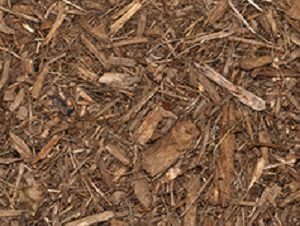 This spring, it’s time to use mulch to enhance your Fallston home’s landscape features. You might overlook how useful it can be, but here are some of the ways how mulch can help you make your landscape stand out in your neighborhood. First of all, the presence of mulch reduces the growth of weeds. Weeds present an eyesore on your Fallston landscape, but when you have mulch, the weeds don’t grow out of control, and any weeds that do appear are less resilient and as such, are much easier to remove. Mulch also slows down the rate of water absorption, and this means you won’t need to spend as much time watering your garden or other landscape features. Also, you can make your plants and landscape healthier and more resistant to any potential diseases that can ruin it. You’ll either find organic mulch or inorganic mulch. At Lehnhoff’s Supply, we can provide you with dyed red mulch, dyed black mulch, dyed brown mulch, and double shredded mulch. It all depends on what you want concerning your Fallston home’s landscape design. Also, ensure that it isn’t vulnerable to fire. It’s best to assemble layers that are about two or three inches thick. In slower-draining soils, you’ll want to use a thinner layer, but for faster-draining soils, you’ll need a thicker layer. Put the mulch past the drip line, which refers to where the leaves end. Lastly, be sure to keep your layers clear of crowns, stems, and trees. Don’t forget to water it to prevent the roots from drying out – this will also weigh your lighter materials down so it won’t be blown away by the strong spring winds around your Fallston neighborhood. Lehnhoff’s Landscaping is delighted to introduce Lehnhoff’s Supply and Design. We seek to fulfill all of your landscape supply and landscape design needs no matter what project you’re looking to complete. We are based in Fallston, Maryland and are eager to lend you our expertise and materials. Find us at 2708 Belair Road, Fallston, MD 21047. Call us at 410-510-7646 or drop us a line via email at lehnhoffsupply@gmail.com. Lastly, don’t hesitate to reach out to us on Facebook, Twitter, and Google+! We serve, but aren’t limited to, the following parts of Maryland: Harford County – Fallston, Forest Hill, Joppa, Edgewood, Bel Air, Churchville, Havre de Grace, Jarrettsville, Street, Aberdeen, Abingdon, and Joppatowne. This entry was posted on Wednesday, April 25th, 2018 at 9:11 am. Both comments and pings are currently closed.